One of our best selling feed rations, Layers Pellets are suitable for your waterfowl, traditional breeds and Hybrid Laying hens from Point of Lay age onwards. 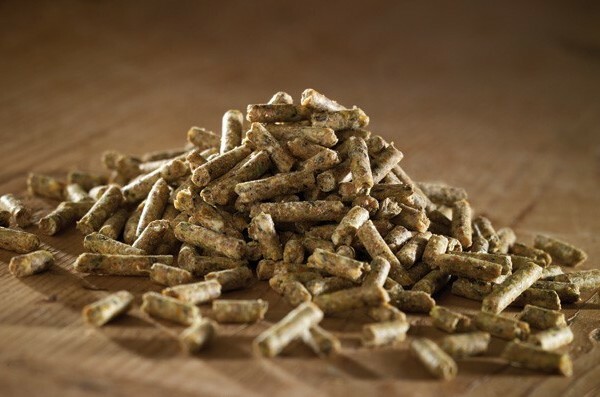 One of our best selling feed rations, Layers Pellets are suitable for your waterfowl, traditional breeds and Hybred Laying hens from Point of Lay age onwards. A high quality product from a trusted company. Carefully formulated to be a highly palatable feed with a balance of proteins, vitamins and minerals to help ensure good health. It is a non- GM ration, containing no chemical pigments and natural ingredients, specifically to enhance yolk colour and shell strength. This feed is suitable for all kinds of feeders. Ingredients: Wheat 20%, Wheatfeed 20%, Sunflower 10%, Maize 10%, Vit 0.6%, Physine xp4000 0.0075%. Analysis: Oil 4%, Protein 17%, Fibre 7%, Ash 11.7%, Methionine 0.3%, Vit A 8000iu/kg, Vit D3 2400iu/kg, Vit E 12iu/kg, Moisture 14%, Copper 25mg/kg.